Rank: #5 out of 158. Requires cable Internet service. Approved by and for use with Comcast Xfinity and Xfinity X1, and Cox. ELIMINATE CABLE MODEM RENTAL FEES UP TO 156 DOLLARS PER YEAR. (Savings are shown for Xfinity and vary by cable service provider. This product is NOT COMPATIBLE with fiber optic, DSL, or satellite services from Verizon, AT&T, CenturyLink, Frontier, and others. This product DOES NOT HAVE a phone jack or voice service support. Motorola MG7700 is a very popular option at the top of the price range. 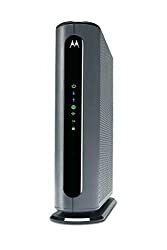 It's in the top 3 bestselling modems and has dozens of popular alternatives in the same price range, such as Arris Touchstone TG1672G or Arris SURFboard SB8200 . 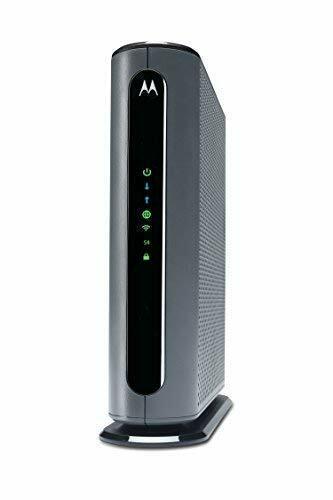 Motorola MG7700 is $81.19 more expensive than the average modem ($98.80).